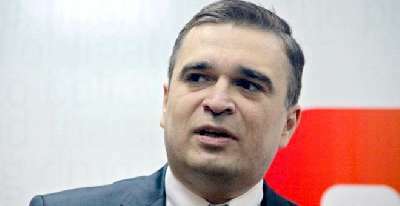 Shaki Court of Appeal, chaired by the judge Humbat Salimov, rejected REAL chairman Ilgar Mammadov and journalist Tofig Yagublu’s appeal against Shaki Grave Crimes Court’s judgment of March 17, 2014. Ilgar Mammadov is in jail, while Tofig Yagublu, although released under the president’s pardon decree of March 17, 2016, was seeking acquittal. The court upheld the judgment in respect of both appellants. By Shaki Grave Crimes Court’s judgment of March 17, 2014, Ilgar Mammadov was sentenced to 7 years and Tofig Yagublu to 5 years in jail. The appeal against the verdict was not granted by Saki Appeal Court. On October 13, 2015, Supreme Court sent the case back to Shaki Appeal Court for re-consideration. Yagublu and Mammadov were initially charged under Articles 233 (organization of actions promoting infringement of the public order or active participation in such actions) and 315 (resistance to a representative of authority) of the Criminal Code. Later, the charge under Article 233 was dropped, and a new charge under Article 220.1 (organization of mass disorders accompanied by violence, pillage, arson or destruction of property or participation in such disorders) was brought against them.